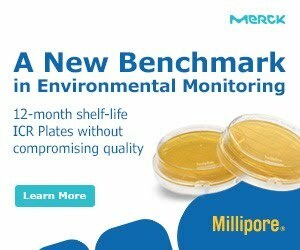 Dennis Champagne, Director, Laboratory Services, at Microtest Laboratories, Inc., has written an article on microbial identification for Controlled Environments, which can be viewed on-line. To view the article, go to Controlled Environments. A new method has been developed for measuring levels of indoor fungal spores. 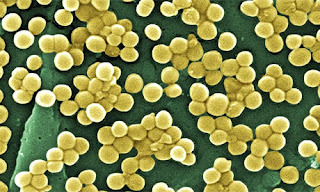 The scientists describe a new method, which involves collecting air samples on a piece of commercially available aluminum foil, and then analyzing the spores with a technique called Raman microspectroscopy (RMS). They used the method to detect and identify single spores from seven common types of mold. The team says that use of the new test could help with many problems in the public health, forensics sciences and environmental fields. The object was to develop a fast and easy method that can reliably detect and identify low levels of airborne mold – even single spores. The findings have been published in ACS’ journal Environmental Science & Technology. The paper is by Sutapa Ghosal et al and is titled “Raman Microspectroscopy-Based Identification of Individual Fungal Spores as Potential Indicators of Indoor Contamination and Moisture-Related Building Damage”. In response to popular demand, Pharmig are delighted to offer a disinfectant seminar which will be held on Thursday 20th June 2013. Pharmig would like to offer a complimentary place to one Pharmig member from each site to thank members for their continuing support (non-members £150-00). Places are strictly limited and are offered on a first come-first served basis. Please contact Pharmig for further details. The seminar aims to outline the process for selecting the most effective product for your facility by generating a compliant and comprehensive validation package. Once selected and validated, guidance will be given on how to transfer into routine use. For details go to the booking form or contact Pharmig. The company Vaisala are offering a free on-line ebook in relation to the calibration of equipment. “This book was written to help the readers with the measurements they perform. The intent is to help the readers and their organizations determine the most appropriate activities that ensure the quality of their measurements. We hope this book provides the readers with a framework in which to place their own activities. Tim Sandle and Kerry Skinner have undertaken research into the presence of psychrophilic and psychrotolerant microorganisms in pharmaceutical facility cold rooms. The study has been published in the Journal of Applied Microbiology. Aims: To examine for psychrophilic or psychrotolerant micro-organisms in pharmaceutical cold rooms (in relation to numbers, incidents and species) and to determine, where such micro-organisms are present, whether standard microbiological environmental monitoring regimes require modification. This is presented as a case study. Methods and results: Comparative environmental monitoring within different pharmaceutical facility cold rooms (using standard mesophilic and low temperature incubation). Data were collected over two periods, 5 years apart. The results indicated that psychrophilic micro-organisms were not present and that those micro-organisms deemed psychrotolerant, primarily pseudomonads, could be grown on standard media under mesophilic conditions. Conclusions: Psychrophilic micro-organisms were not detected and those considered to be psychrotolerant were only found in low numbers. Pyschrotolerant organisms were recovered under both low temperature incubation conditions and under standard conditions (between 20 and 35°C). Further evaluation may be required, using alternative agar, and microbiologists should regularly review the species recovered to note differences between different environments. Pharmaceutical Technology are hosting a free to read paper by Tim Sandle and Madhu Raju Saghee entitled "Application of Sterilization by Gamma Radiation for Single-Use Disposable Technologies in the Biopharmaceutical Sector". "The primary method for the sterilization of single-use technology is by gamma irradiation. This is because plastics cannot be subjected to heat-based methods of sterilization without damaging the mould (i.e., styrene and other plastics are temperature sensitive). Other alternative methods, such as gaseous sterilization by ethylene oxide, that although used on occasions, can leave unwanted and potentially toxic residuals (e.g., ethylene glycol and ethylene chlorhydrin) post-sterilization (4). 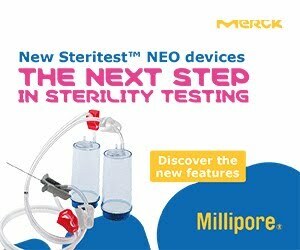 Other alternative sterilization methods (e.g., liquid peracetic acid immersion system and plasma sterilization processes) are not sufficiently well established (5). Electronic beam irradiation is an alternative method of radiation to gamma. This is a concentrated, highly-charged stream of electrons generated by the accelera tion and conversion of electricity (6). Electronic beam radiation is not commonly used for single-use disposable systems due to its relatively limited ability to penetrate some types of plastics. Therefore, single-use systems are typically sterilized using gamma rays (i.e., electromagnetic wave radiation). Despite the widespread application of the gamma irradiation, the process remains the only primary sterilization method not described in either the European Pharmacopoeia or United States Pharmacopeia (USP). This paper outlines the process of gamma radiation and describes the important aspects of validation. The paper is designed to provide a guide to those wishing to understand more about the process and to offer advice for quality assurance personnel who are required to audit the sterility assurance of gamma radiation." To read the full paper, go to Pharmaceutical Technology. Sandle and Saghee are the editors of the new book "Cleanroom Management in Pharmaceuticals and Healthcare". A Glovebox is a sealed enclosure that allows materials handling through long, relatively impermeable gloves secured to ports in the walls of the enclosure. The purpose is protection or isolation, which is provided by the physical barrier. Depending on the type of system, the physical barrier may be to isolate a sensitive material inside the box from environmental contamination (controlled atmosphere type) or to protect the operator from hazardous materials being manipulated inside the box (ventilated type). 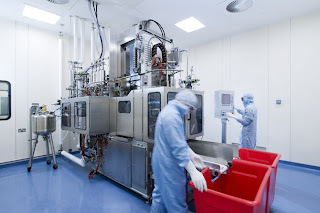 Most systems have a main chamber where manipulations occur and a smaller transfer or antechamber where samples, small apparatus, and supplies are introduced into the main chamber. This is the introduction to an article by Gary Roepke and Bob Applequist, published on Pharmaceutical Online. Readers may find the article of interest. News from the PDA: PDA Technical Report No. 61 (TR 61): Steam In Place has been released. "The primary objective of the task force responsible for this technical report was to develop a scientific technical report on Steam In Place (SIP) processes that provides recommendations for use by industry and regulators. This document focuses on the various applications of steam for in situ sterilization for "sterile" applications and for in situ sanitization and other bioburden control applications widely used for systems that do not claim to be "sterilized" via steam. Risk management employed throughout the lifecycle of SIP equipment and processes to efficiently focus and allocate resources commensurate with the probability of impacting final product purity and safety is also covered. The task force was composed of European, North American, and South American industry professionals to ensure the methods, terminology, and practices of SIP reflect sound science and can be applied globally." For details, see the PDA. The correct use of detergents and disinfectants is important for contamination control. In view of this, Tim Sandle has written an article for Controlled Environments magazine. There is an interesting interview with Mike Peck from the Institute of Food Research in Laboratory News. In the interview Mike Peck discusses food safety and touches upon microbiological aspects. “The Institute of Food Research (IFR) has an outstanding record in delivery of research outputs that support national and international industry and regulation. Research at IFR on microbiological food safety is focused on understanding how three major foodborne bacterial pathogens of the greatest concern to the UK (Salmonella, Campylobacter and Clostridium botulinum) survive and grow in the food chain. 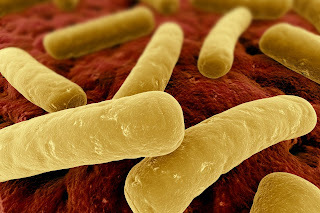 Salmonella and Campylobacter are both enteric zoonotic pathogens that cause infection, and are a major cause of morbidity and mortality worldwide. C. botulinum is a highly dangerous spore-forming bacterium that is responsible for botulism, a severe and deadly disease. In part due to its ability to thrive and quickly adapt to the different environments in which it can grow, Salmonella remains a serious cause of food poisoning in the UK and throughout the EU. New research involving a team of IFR scientists has taken the first detailed look at the molecular mechanisms employed by Salmonella that enables their survival and growth in the food chain. Importantly we have determined how Salmonella adapts when it enters a new environment, which could provide clues to finding new ways of reducing transmission through the food chain, and thus preventing human illness. To read the full article, go to Laboratory News. Tim Sandle and Madhu Raju Saghee, editors of 'Cleanroom Management in Pharmaceuticals and Healthcare', have written the first of a two part article surveying the latest innovations in cleanroom technology and design. The article is published in the May 2012 edition of Pharmaceutical Manufacturing and Packaging Sourcer (PMPS). The article addresses cleanrooms and clean air devices. “In recent years there have been considerable advancements with cleanroom design. These are aimed at ensuring that the cleanroom is designed in a way which ensures that it meets the requirements of the user and is designed in the optimal way to ensure contamination control. It is important to dedicate time to designing cleanrooms and the equipment located in cleanrooms for, if there is a design fault in one part, this will affect the items of equipment and if there is a fault in conception stage this will be expensive and time consuming to rectify. The second part of the article will be published in the following issue. The article is an introduction to some of the topics covered in a forthcoming book on cleanrooms. The book is called “Cleanroom Management in the Pharmaceutical and Healthcare sectors”, edited by Tim Sandle and Madhu Raju Saghee, and will be published by Euromed later this year. Tim Sandle has written a short paper on the key elements of Quality Management Systems, The paper has been published on the A3P website. A special report by Tim Sandle. A New Jersey compounding pharmacy has temporarily shut down its operations after Connecticut hospital officials reported finding visible mold in bags of an injection drug. The U.S. Food and Drug Administration (FDA) has announced that Med Prep Consulting, Inc. is recalling all lots of all products compounded at its facility, due to lack of sterility assurance (see the end of this article for a list of the products being recalled). The move followed a voluntary consent order enacted Friday that will remain in effect until at least March 22. The level of recall is to the user: regional hospital pharmacies and related departments, and physician’s office practices. The recall resulted from the pharmacy being notified by a Connecticut hospital that it observed visible particulate contaminants in 50 ml bags of MAGNESIUM SULFATE 2GM IN DEXTROSE 5% IN WATER, 50ML FOR INJECTION intravenous solution, confirmed to be mold. These were unique and distinct lots compounded and dispensed by the pharmacy to the Connecticut hospital. At this time a total of five (5) contaminated bags were discovered. The affected products are used for a wide range of therapeutic uses for hospitalized inpatients and outpatients, and, patients directly treated by a health care professional at a physician’s office practice facility or clinic. All products are packaged in plastic infusion bags, plastic infusion devices, plastic syringes and glass vials. To date, no injuries or illnesses have been reported. According to NBC News, New Jersey Health Commissioner Mary E. O'Dowd said in response to the incident: "This investigation is evolving. At this time, in an abundance of caution, the Department of Health recommends that any health care facility that has received products from Med Prep should inventory them and remove them from use." Med Prep is a specialty intravenous I.V. pharmacy licensed by the State of New Jersey offering sterile compounding services. In operation since 1994. There was no word of the recall via a search of the company web site. This incident follows on from the fungal contamination found in three lots of medication used for epidural steroid injections, which was packaged and marketed by the New England Compounding Center (NECC), a compounding pharmacy in Framingham, Massachusetts. Compounding pharmacies are authorized, in the U.S., to combine, mix or alter ingredients to create specific formulations of drugs to meet the specific needs of individual patients, and only in response to individual prescriptions. There is debate among governments and regulators about which agency has primary oversight of compounding pharmacy. The FDA says it has less power to overseas compounding pharmacies than it does traditional manufacturers of pharmaceuticals. State governments have clung to the power to regulate pharmacies of all kinds. a) In August 2011, the FDA reported that repackaged injections of Avastin (bevacizumab) caused serious eye infections in the Miami, Florida area. A pharmacy had repackaged the Avastin from single-use vials into multiple single-use syringes, distributing them to multiple eye clinics, and infecting at least 12 patients. Some patients lost the remaining vision in the eye being treated. b) From November 2011 to April 2012, 33 eye-surgery patients in seven states suffered a rare fungal eye infection tied to injectable drug products made by a compounding pharmacy in Ocala, Florida. Most of those patients suffered partial to severe vision loss. c) In November 13 2012, it was reported that manufacturing problems were found at Ameridose, a Massachusetts company that makes injectable drugs. A study has been undertaken of the bacterial community of the skin. The research was undertaken by Elizabeth Grice of the National Institutes of Health (USA). Grice studied bacteria on 20 different body parts. The research found that certain types of skin-dwelling bacteria thrive in warm, moist places like armpits and between toes. Others microorganisms prefer wide, dry expanses like the backside. The research also showed each person's collection of bacteria is unique -- like fingerprints. However, unlike fingerprints, the bacterial communities can change depending on your diet, environment, health, age and many other factors. The research also showed that certain diseases, like diabetes, also affect the bacteria on the skin. A major complication of diabetes is sores, or ulcers, on the feet that never heal. Grice suspects that high blood sugar, which is known to change the skin's structure, likely encourages a specific subset of bacteria to grow. Cross-contamination with extraneous residues of any kind presents a safety risk to patients consuming the drug product. To explore the assessment of this risk and in a discussion on the importance of methods of detection for cleaning validation, Sandeep Kalelkar has written a comprehensive overview for Controlled Environments magazine. To read the articles see Controlled Environments. Scientists at The Scripps Research Institute have unravelled a complex chemical pathway that enables bacteria to form clusters called biofilms. Such improved understanding might eventually aid the development of new treatments targeting biofilms. Biofilm formation is a an important phenomenon that occurs when bacterial cells adhere to each other and to surfaces, at times as part of their growth stage and at other times to gird against attack. 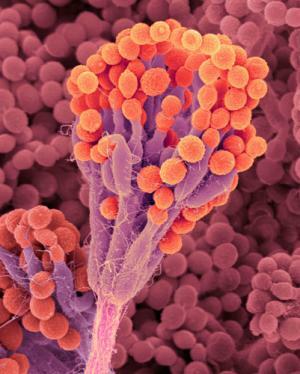 In such aggregations, cells on the outside of a biofilm might still be susceptible to natural or pharmaceutical antibiotics, but the interior cells are relatively protected. This can make them difficult to kill using conventional treatments. Past research had also revealed that nitric oxide is involved in influencing bacterial biofilm formation. 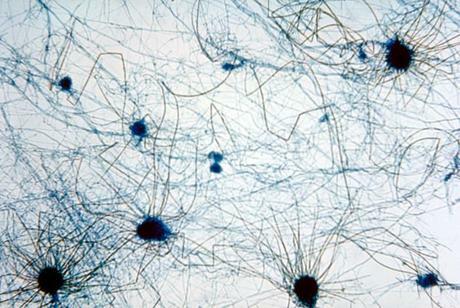 Nitric oxide in sufficient quantity is toxic to bacteria, so it's logical that nitric oxide would trigger bacteria to enter the safety huddle of a biofilm. Many bacteria also have H-NOX domains, including key pathogens, so this seemed the best starting point for the investigation. From there, the team turned to genomic data. Genes for proteins that interact are often found adjacent to one another. Based on this fact, the researchers were able to infer a connection between the bacterial H-NOX domain and an enzyme called histidine kinase, which transfers phosphate chemical groups to other molecules in signaling pathways. The question was where the phosphates were going. To learn more, the researchers used a technique called phosphotransfer profiling. This involved activating the histidine kinase and then allowing them to react separately with about 20 potential targets. Those targets that the histidine kinase rapidly transferred phosphates to had to be part of the signaling pathway. The experiments revealed that the histidine kinase phosphorylated three proteins called response regulators that work together to control biofilm formation for the project's primary study species, the bacterium Shewanella oneidensis, which is found in lake sediments. Further work showed that each regulator plays a complementary role, making for an unusually complex system. One regulator activates gene expression, another controls the activity of an enzyme producing cyclic diguanosine monophosphate, an important bacterial messenger molecule that is critical in biofilm formation, and the third tunes the degree of activity of the second. PharmaPro are hosting an interesting article by Bikash Chatterjee and Wai Wong, Pharmatech Associates on the subject of ‘QbD and the New Process Validation Guidance’. “Very simply, the aim of pharmaceutical development is to design a quality product and manufacturing process to consistently deliver the intended performance of a final therapeutic product. 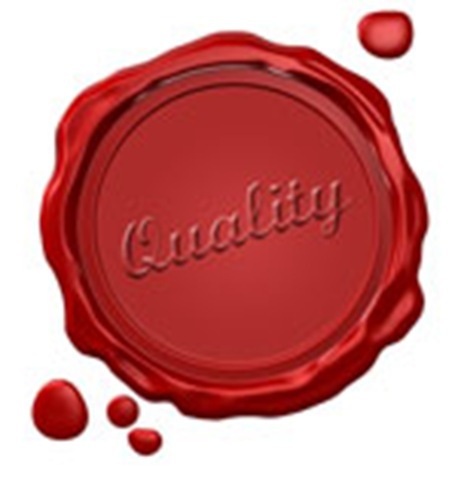 To support a final quality assurance approach to manufacturing, it is the information and knowledge gained from pharmaceutical development studies and process characterization studies that lead to an effective quality control strategy, based on scientific understanding. 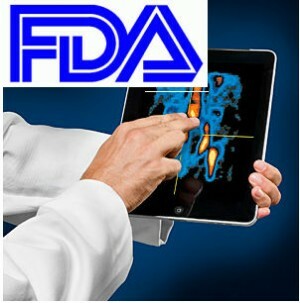 To that point, in January 2011 the FDA issued its new guidance on Process Validation (PV). 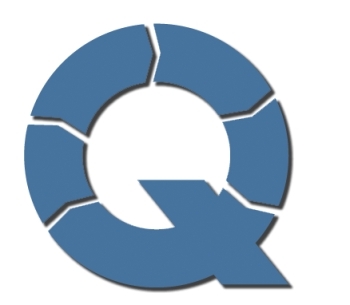 The new PV guidance uses the basic principles of scientific understanding put forth in ICHQ8—the foundation of Quality by Design (QbD)—to establish process understanding and link it to product reproducibility. It effectively abandons the old concepts of demonstrating process validation and replaces it with a new, structured approach. It formalizes these principles by describing the level of product and process understanding necessary to satisfy the requirements of Stage 1 of the new PV guidance. To achieve this level of process understanding a framework that integrates product performance as part of process characterization is required. So simply put, the new PV guidance will make it much easier to justify moving toward QbD. 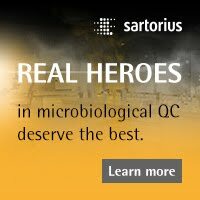 Sartorius have issued a white paper entitled “Enhanced Sterility Assurance in Stopper processing: A Unique System to Unload Stoppers from a Stopper Processing System”. Disinfectant qualification studies play a key role in assuring that a company's clean room is sterile and within the prescribed U.S. Food and Drug Administration (FDA) standards. With clean room sterility of utmost importance, disinfectant qualification studies are valuable in analyzing and evaluating disinfectant effectiveness. 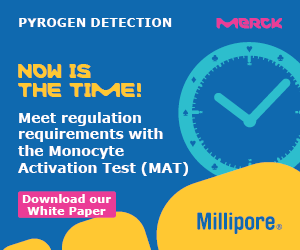 To examine this important subject further, Microtest have produced a white paper written by Deborah Ensign, Shawn Sherry, and Kate Bloomrose. The paper covers some of the basic areas. Following the fungal meningitis outbreak last fall that was linked to contaminated sterile drugs (NECC), the FDA has launched an inspection campaign of large specialty pharmacies. The inspections mid February and will continue over the next two months, covering about 30 facilities. Prof. Dr. Dietmar A. Plattner, Dr. Klaus Piontek, and Eric Strittmatter from the Institute of Organic Chemistry of the University of Freiburg and their colleagues from research groups at the International Graduate School of Zittau of the University of Dresden have determined the three-dimensional atomic structure of fungal enzyme of this kind, a dye-decolorizing peroxidase (DyP).